Anna and Claire are contemporary artists collaborating with people, places, creatures and things to inform and enrich our lives and cultures. 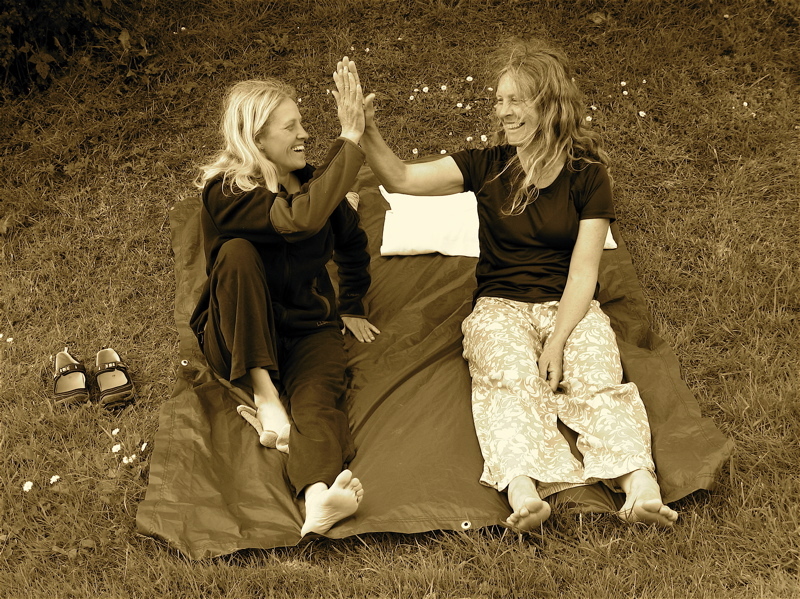 Anna, in Torbay, Devon and Claire in Questa, New Mexico have worked together, since they met in 2007 at the MA Arts and Ecology program at Dartington College of Arts. Their practice evolved on Dartmoor (National Park) and has expanded to inhabit the highly contrasted ecologies of their native Devon and Northern New Mexico, as well as other locations. Claire and Anna partner with Land Management Organizations in their respective localities and their thriving experimental projects and practices bring participatory outcomes to diverse publics in the UK and USA. Anna has worked with The English Riviera Geopark in Torbay and other Global Geoparks and Claire with the Bureau of Land Management’s Toas Field Office and Carson National Forest Questa Office, New Mexico and the National Park Service at Great Sand Dunes National Park in Colorado. In 2011 Claire and Anna completed a traveling residency of 40 days and 40 nights at the X-border Marble Arch Caves Global Geopark, (County Fermanagh Northern Ireland and County Cavan, Republic of Ireland). In 2013, the pair took “Radio Dreaming” (one of the outcomes of the residency) on a journey back to its source in the geopark and surrounding borderland counties in their “Place-Dreamer” listening Pod. Other Adventures, discoveries, drawings and outcomes from the Marble Arch Caves Geopark residency can be found at www.deamingplace.eu. Teaming up with local host organizations allows them to learn from experts with local knowledge, gain privileged access to sensitive sites and to experience their places and the places of others in a deeper and more connected way. “Approaching an Exchange” helps build community from different times and places. “If you’d like to ……” encourages imagination and empathy, both prerequisites to re-shaping our interactions with the Natural World. Their current projects, “DREAMING PLACE” and “Radio Dreaming” search for ways into the hidden meanings within the landscape and share their discoveries with listeners via radio. View Claire and Anna’s collaborative CV here. Anna Keleher’s experimental research processes generates a rich variety of outcomes. She is engaged in an ongoing inquiry into human and non-human creativity and communication. Her practice explores the significance to life on earth afforded by the creative mind. In 2007 her animated piece “the pond” played out at diverse venues including The Big Screen, Exchange Square, Manchester; (The Bigger Picture, Cornerhouse/BBC Manchester) as well as Aarau, Switzerland, EarthDance Vitosha, Bulgaria and Animated Exeter. She won the Exeter Contemporary Open 07 (HW Business Advisers Award) and the Proof Prize (SW Feature Artist). With her Arts and Ecology practice spanning Contemporary Art and writing Anna actively contributes to dialogues about making and sharing culture in homeplaces around the world.. Visit her website here; artist CV here. Claire Coté‘s interdisciplinary practice synthesizes art, activism, environmental advocacy, education and anthropology. Her interdisciplinary work explores diverse environments and investigates the many ecological relationships within them, through experimentation with diverse mediums including drawing, sound, book-making, sculpture and photography. Collaboration, social and environmental justice and the endless study of the human experience inspire her. Claire holds bachelors from the University of New Mexico in Fine Art and Cultural Anthropology and a Masters in Art and Ecology from Dartington College of Arts in Devon, England. In 2009 she founded LEAP, Land Experience and Art of Place, and became a co-organizer of SEED. Her work has been shown throughout New Mexico, in Chicago and in the UK. Born and raised in Northern New Mexico, Claire lives with her husband and daughter in their off-grid home in Sunshine Valley. Visit her website here; aritst CV here.